Mirror and Water Image question is asked in every government job exam. It carries 1-2 mark in every exam of Reasoning section and can be done with easily to score. But, to do it easily few simple steps and rules must be known. 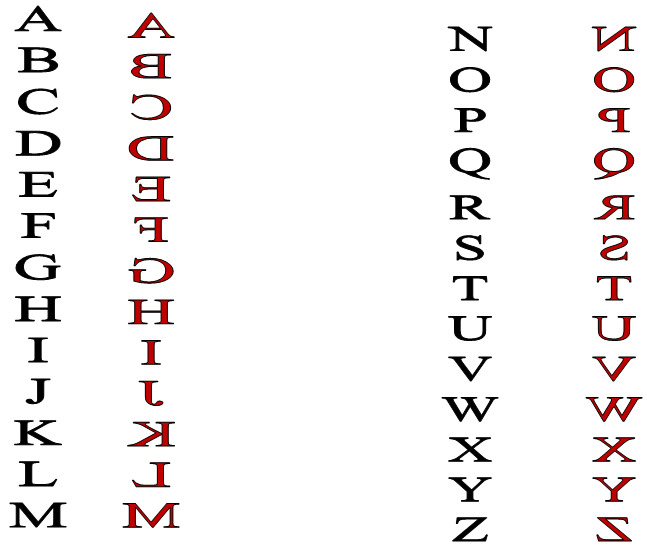 It's a easy task to find mirror and water image of an alphabet. We are sharing the way each alphabet looks in mirror and water and how its image appear. - This is the most frequently asked question in every exam and can be scoring too. In this, you have to draw image and find the answer. In mirror, left becomes right and right becomes left. Hence, start drawing from the point near the mirror and then, draw whole image. In water, the whole figure gets inverted and you have to draw it from bottom as shown in the above image. Practice them and take few 3-5 examples and you will be master in this topic. This is the different case. 1. When you see hour hand and minute hand of clock in the mirror you will see the different time. So, what mirror image will be of any clock. Take example, you see 3:00 time in real and you have to find what time will be shown in the mirror. for this, Subtract 3:00 from 11:60 or 12:00 and you will get the answer .i.e 9:00 will be seen in the image. 2. When you have to water image of a clock. Subtract the time you are seeing from 18:30 and you will get the answer or what time will you see in the water. Take example, you see 3:00 time in real. Subtract it from 18:30 and you will get 3:30 as the answer which can be seen in water. 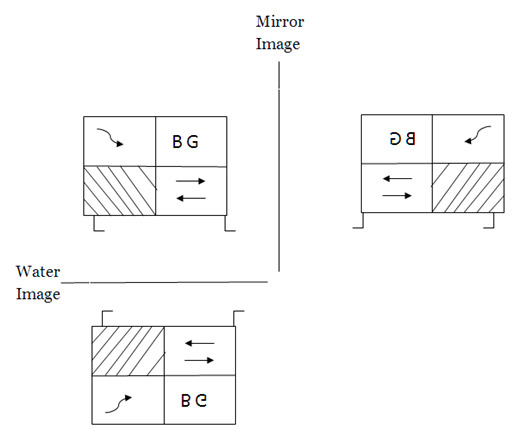 Comments "Trick to solve Mirror and Water Images of Reasoning Section "